The Iris Navy Trouser have been lovingly hand crafted from a soft wool crepe, with a striking contrast berry hue embellished woollen braid along the side seems and back pockets. The Iris navy trousers have been lovingly hand crafted from a soft wool crepe, with a contrast berry hue embellished woollen braid along the side seems and back pockets. 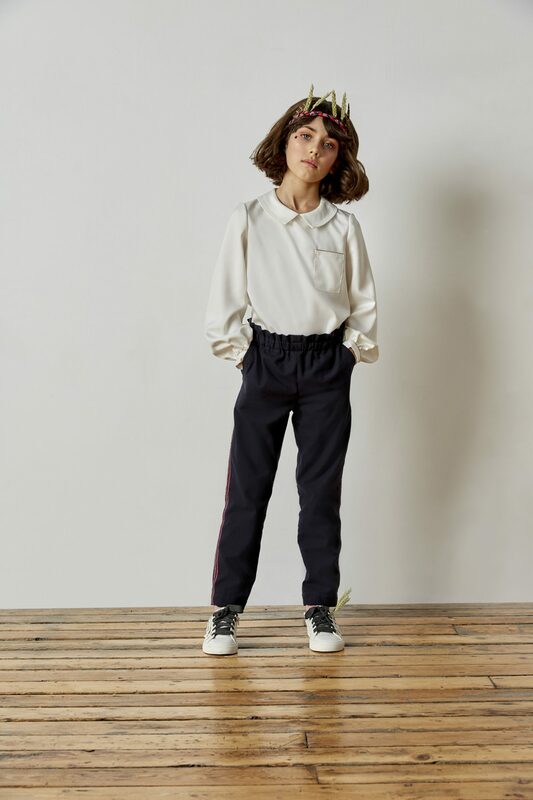 These effortlessly cool trousers have a beautifully tailored fit, with a beautifully gathered stretch waistband to ensure maximum style and comfort. Expertly cut from the best cloth and finished to perfection, with the added embellished sporty stripe, the Iris Trouser are a timeless classic.